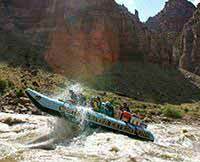 This rafting trip experience was nothing like I had anticipated. 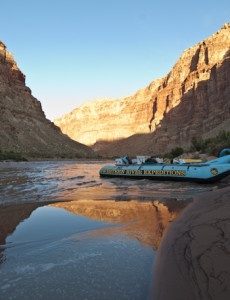 The sun was merciless, the water freezing....I had sand and dust EVERYWHERE, clothes, body, and it was no use washing it off. There was little privacy, one is forced to socialize and work together as a group with total strangers. I had no access to my computer or phone, and had to engage in other activities as a form of entertainment. 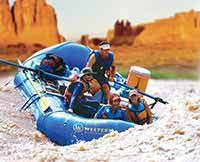 Now, I have traveled all around the world; and this Colorado River rafting/camping experience, is one of the most memorable and up lifting adventures I've ever endured. My only recommendation: bring a high SPF, and apply frequently.